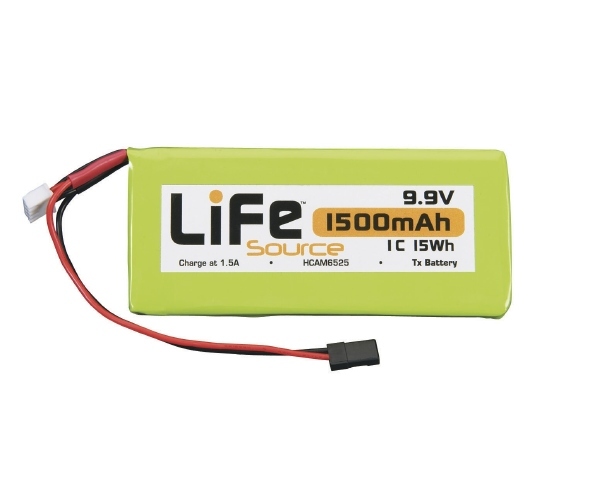 The new 9.9V 1500mAh pack is the first 3S LiFe (Lithium-Iron-Phosphate) battery from LiFeSource and is designed for transmitters using an 8-cell flat NiCd/NiMH pack such as Futaba’s 3PK, 4YF or 6EX systems. The 6.6V 1300mAh pack expands the LiFeSource line of receiver batteries with a nominal voltage rating that typically does not require a regulator – ideal for 1/8 scale off-roaders and planes or helis where space is limited. Both packs require a charger specifically capable of charging LiFe cells – such as the LiFeSource AC/DC Balance Charger.